As the high school basketball season gets ready for tip-off in the coming weeks, it is good to also look at players who may be flying a bit under the radar for the moment, but are primed to continue progress they made over the spring and summer and become recruiting targets over the next couple years. One of those players, is St. Rita (of Cascia) H.S. junior point guard prospect, Alec Millender (Chicago, IL – ET21 Buckeyes). Millender has been quietly building his game and he put together a really solid overall spring and summer this past year with his ET21 Buckeyes squad in various events. With his skills and the way he sees the game from the lead guard spot, and having some good family competition – his sister Ashton currently is a lights out shooter for the DePaul women’s team – Millender is looking to show the high school teams in his area and college scouts why he should be on their lists of players to focus on. Millender really showed his game well in tournaments like the NY2LA Sports Invitational (WI), Spiece (IN) this past spring/summer and more. The 6’0” point guard has strong handles and is really quick off the point of attack. With a slender frame and that quick burst, he excels at slipping down the lane-lines when driving and finding ways to finish when he gets to the basket. Millender also is tough with his mid-range jump shot which is smooth and he releases it high which makes it difficult for defenders to alter. The emerging St. Rita prospect is also a student of the game and really understands how to run the show. “My IQ might be the best thing, because I feel I’m one of the smartest PG’s in my class… and everyone tells me my pull-up jumper is really great,” Millender commented. He also has a great feel for finding his teammates in open spots and can make some difficult passes look easy. While he continues to elevate his game, Millender is still adding to his play both mentally and physically. While getting stronger in the weight room, the talented guard is also working on staying aggressive and not being passive at times. With his ability to score the ball, he wants to make sure he is taking his shots when they are available and putting more pressure on defenses. The St. Rita H.S. junior will take those skills and that mentality into the school season soon with a determination for himself and his team. “The ultimate goal for my team is to win state of course, but we really want to be the first team to win a sectional in St. Rita history, and I feel if I play at the level I know I can play I can get Catholic League MVP.” While those tasks will be challenging, setting himself and his team some high goals will really work to push Millender and the St. Rita squad to constantly be on top of their games and put out their max efforts. Recruitment-wise, Millender is still gaining steam and with a strong season this year heading into his final grassroots year, the junior point man is hoping to make a name and garner more and more interest. 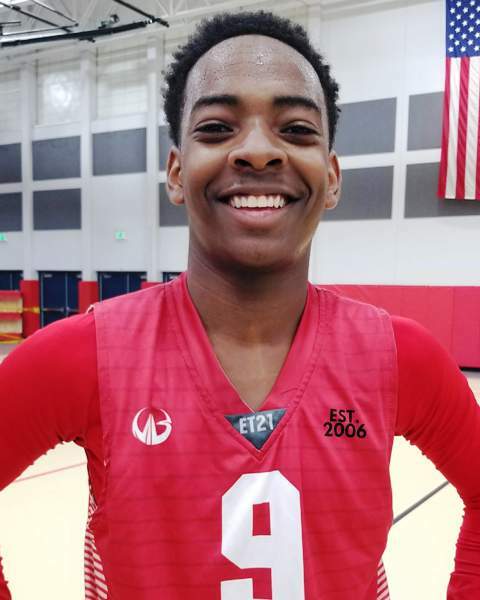 Currently he said North Dakota is showing a lot of interest, and he was getting some good interest from Hometown University of Illinois-Chicago (UIC) during the spring and summer. With his path still being paved, Millender has a bright future in front of him as he works to improve himself day in and day out. Keep an eye out for him and his team this year, and be sure to catch him on the courts next spring and summer also where he will look to capitalize further on his strong play and being a fierce competitor who loves playing ball.